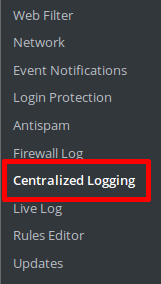 Setting up “Centralized Logging” is pretty straightforward. 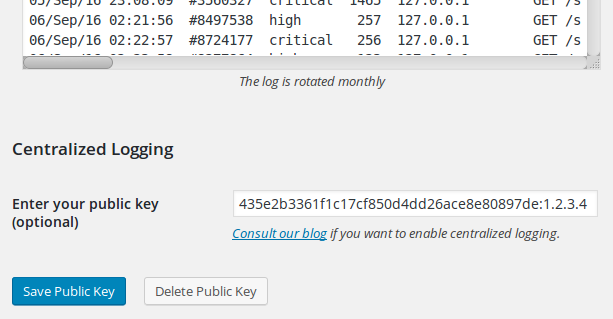 The secret key will be used to generate your public key. Enter at least 30 ASCII characters, or use the one randomly created by NinjaFirewall. 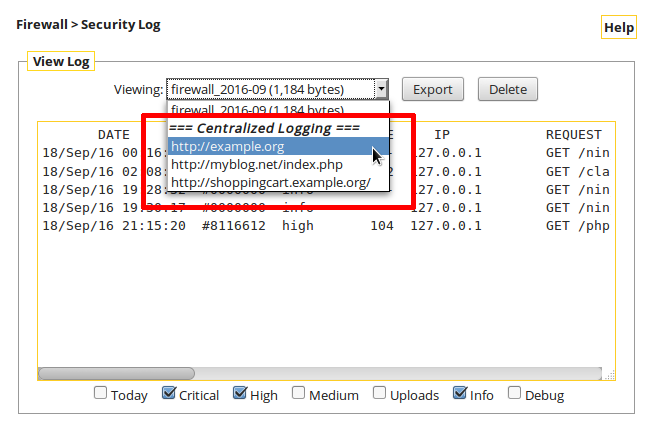 As an additional protection layer, you can restrict access to the remote website(s) to the main server’s IP only. You can use IPv4 or IPv6. If you do not want any IP restriction, enter the * character instead. 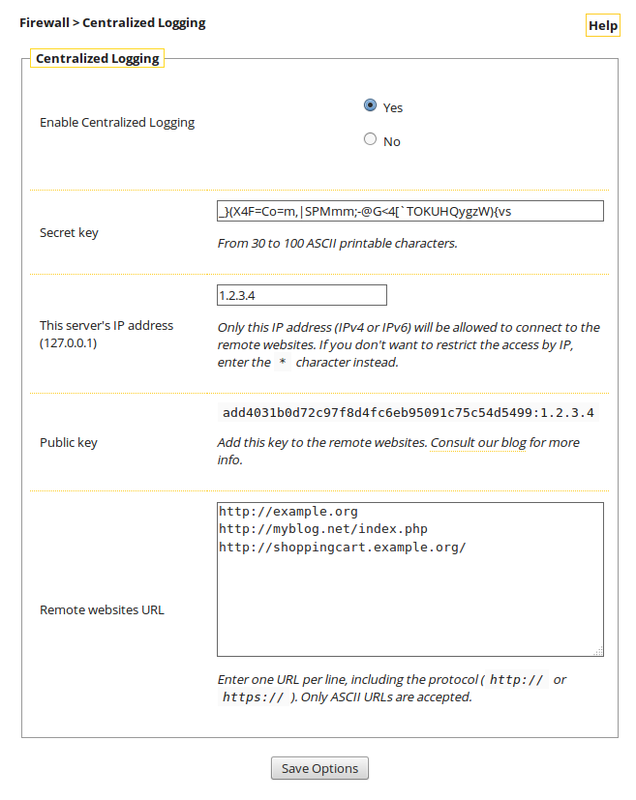 This is the public key that you will need to upload to each remote website (see the “Remote website configuration” section below). 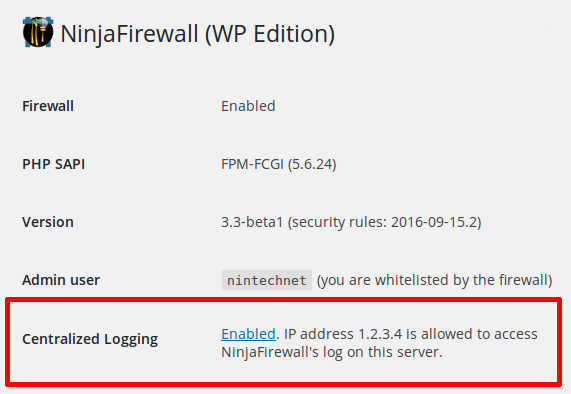 Enter the full URL of your NinjaFirewall protected website(s) that you want to remotely access from the main server. 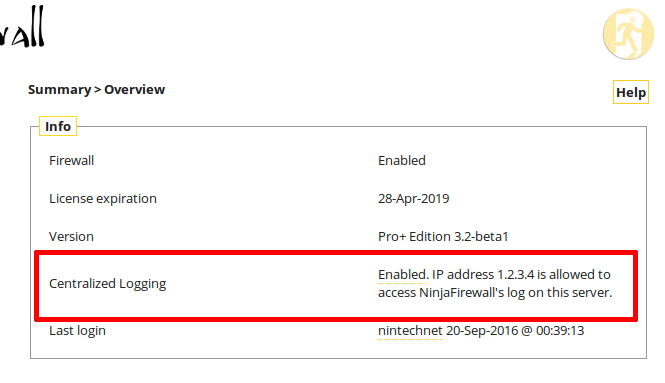 There is no limit to the number of websites you can connect to, and they can be running any edition of NinjaFirewall: WP, WP+, Pro or Pro+. Note: The following process must be repeated on all remote websites. Repeat the above step on all remote websites. 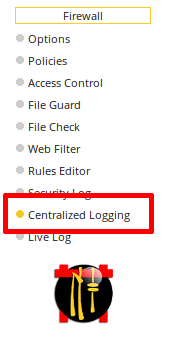 Note: For security reasons, remote logs are read-only; you cannot delete them from the main server. 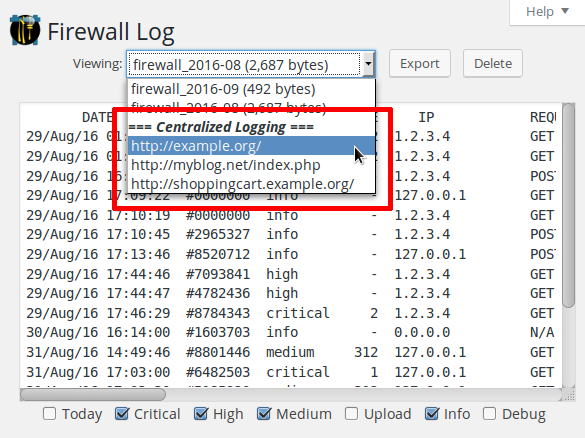 Previous Blocking a WordPress XML-RPC attack with the Linux kernel firewall. Next Latest Joomla! critical vulnerability being actively exploited in the wild.